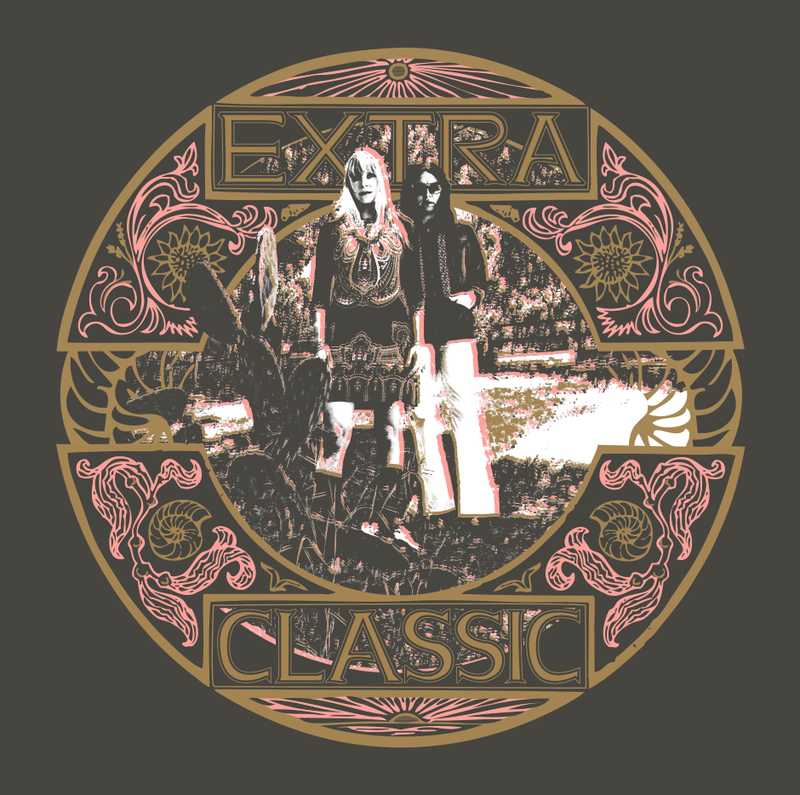 Extra Classic is the new dub and reggae inspired project from Adrianne Verhoeven (The Anniversary, Dri, Art In Manila) and Alex deLanda. Their excellent debut album Your Light Like White Lightning, Your Light Like A Laser was released last week digitally on Manimal Vinyl, with a physical release to follow. An homage to the Jamaican records that inspired them, the album was recorded authentically on all analog equipment to deliver a warm, rich tone that complements their psychedelic brand of reggae and Dri's soulful vocals well. Atlas and the Anchor: Since the break up of The Anniversary, you have been involved in many different projects like Fourth Of July, Art In Manila and your own solo album under the name "Dri". What influenced you to record a dub-inspired reggae album? AA: You seem to be a musical chameleon! What are your biggest musical influences? Dri: My biggest influences musically are strong female singers, huayño and cumbia Andean Music, functional music and music that lets the soul shine through. AA: You recorded the album with a vintage analog approach. What were the positives and negatives from that experience? Dri: Positive Experiences: bottom line, analog sounds better sonically. Also, for what we did on "Your Light Like White Lightning, Your Light Like A Laser Beam", the recording and the songs were an integral process. We wrote the songs with recording analog 8 track in mind. So, the analog recording process affected the song writing process and vice versa. Negative Experiences: technical difficulties- regular technical and mechanical problems throughout the recording process. For example, a broken tape machine in the middle of recording isn't a fun experience. AA: The cadence of the vocals on "Metal Tiger" makes it my favorite song on the album. What is your favorite track and why? Dri: I don't necessarily have a favorite track...I feel as if our album is quite eclectic though at the same time very cohesive. All of the songs are challenging in their own ways and I love singing/preforming all of them with our band. AA: You are getting ready for a short West coast tour to promote the album with Moonface, the new project from Spencer Krug of Wolf Parade, but are there any plans for a longer tour in the near future? Dri: Absolutely, we're working on more and more shows and tours and we're shooting to travel overseas to play (hopefully before the year is over!). Our official vinyl gatefold LP release show for the album is here in San Francisco on October 26th at the Make Out Room. King Tuff is headlining and Audacity is also playing. We'll play in between the two bands. Good times. AA: You have toured and collaborated with many great artists but in a dream scenario, who would you most like to collaborate with? AA: I interviewed Orenda Fink a couple of years ago and she told me about how you and her were talking at SXSW about starting a project with Laura Burhenn. That would be a "dream collaboration" in my opinion. Has any progress been made with that? What other projects are you currently working on? Dri: I'll have to remind Orenda and Laura about that - it would be dreamy! That would be a treat...we have all been very busy with our respective projects this year. Orenda is as prolific as ever with music & art- she is always very inspiring to me, and Laura put together the beautiful Mynabirds album and has been touring this year with Bright Eyes. 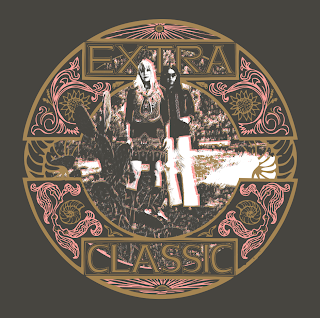 Alex and I are currently working on writing new songs for our next Extra Classic album, which we're very excited about! AA: Zach at Range Life Records he told me that one of my favorite bands Fourth Of July are recording a new album. Will you be contributing to it to complete the hat trick as you were featured on both of their first two albums? Dri: I believe I will be contributing some vocals to the album, yes. I spoke with Brendan (Hangauer) about it when I was in Lawrence, KS last month. From what I hear, Fourth of July have begun recording and it's going great! AA: What one current and one older song do you wish you would have written yourself? AA: What music are you currently listening to? AA: Well, I am sure you remember meeting me at the gas station after your show with the Get Up Kids in Indianapolis in 2000...That was one of my favorite shows of all time with Koufax, The Anniversary and The Get Up Kids! Dri: Wow, Awesome. I think that was the hottest show we ever played, no joke. So cool that you were there- I totally recall the gas station encounter- haha! Thank you, Justin. Happy to do the interview- thank you for the opportunity. We appreciate the support.